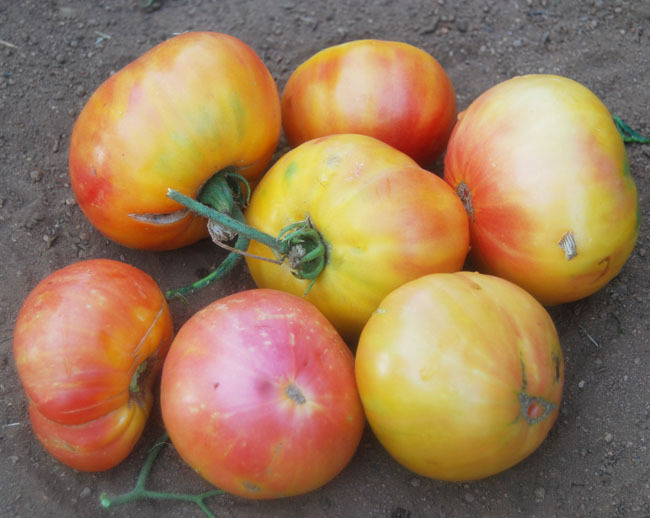 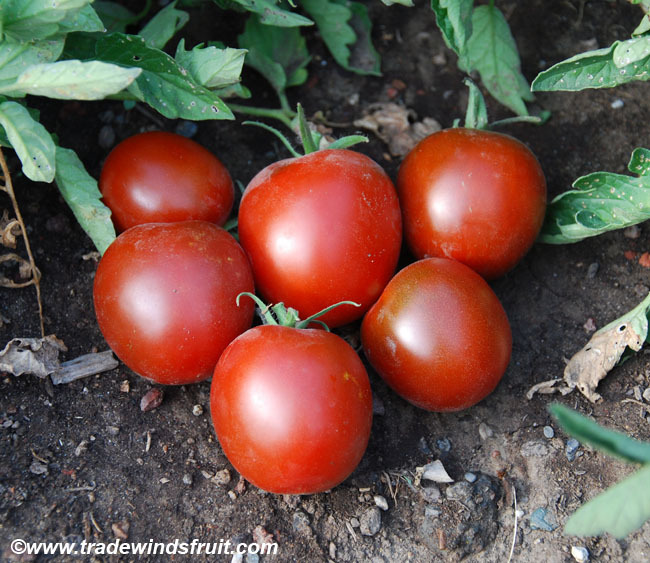 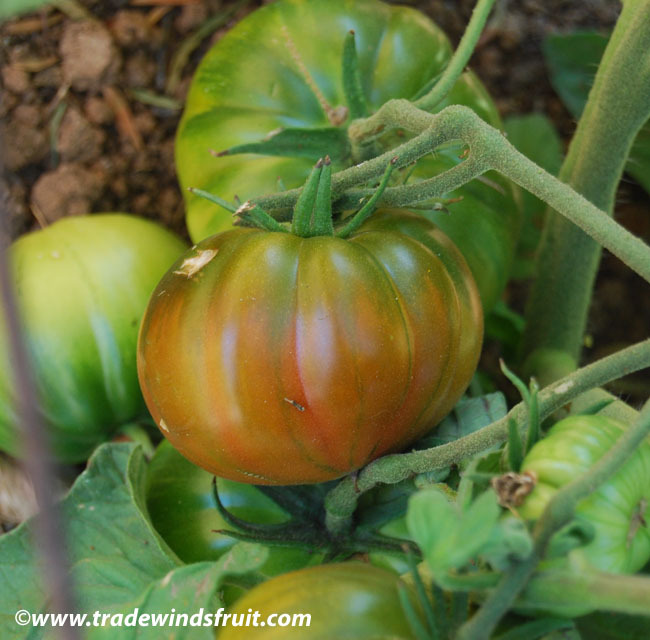 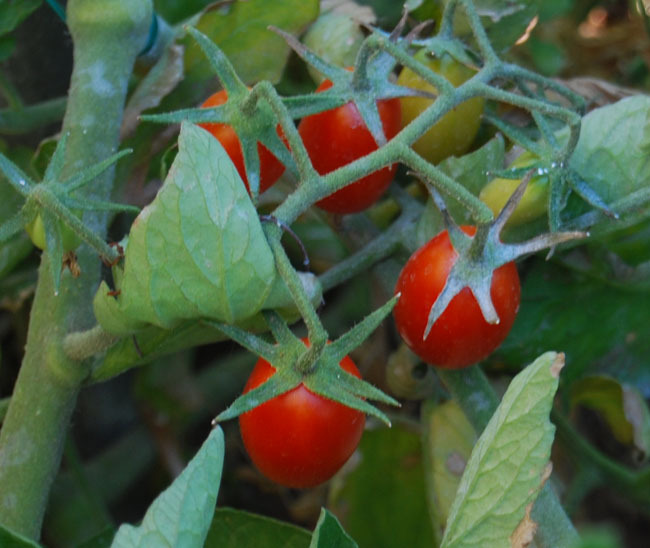 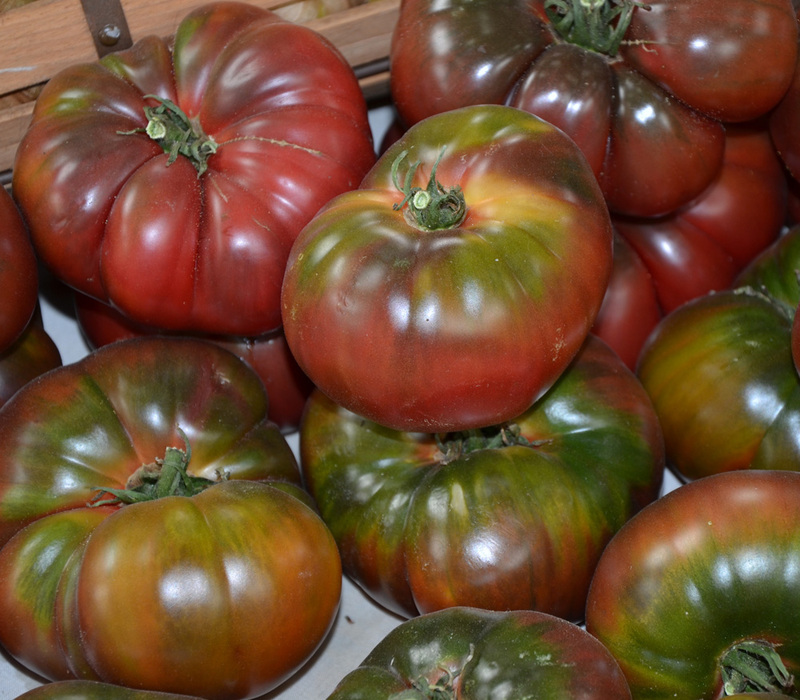 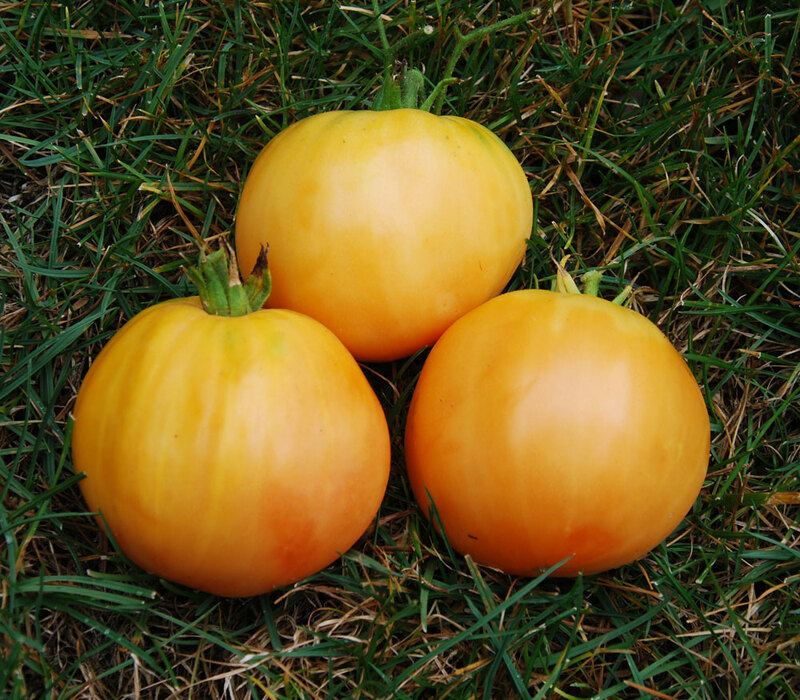 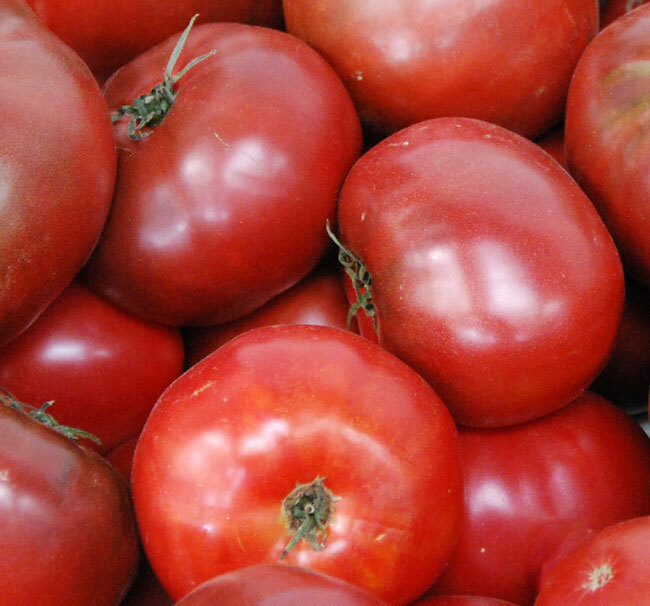 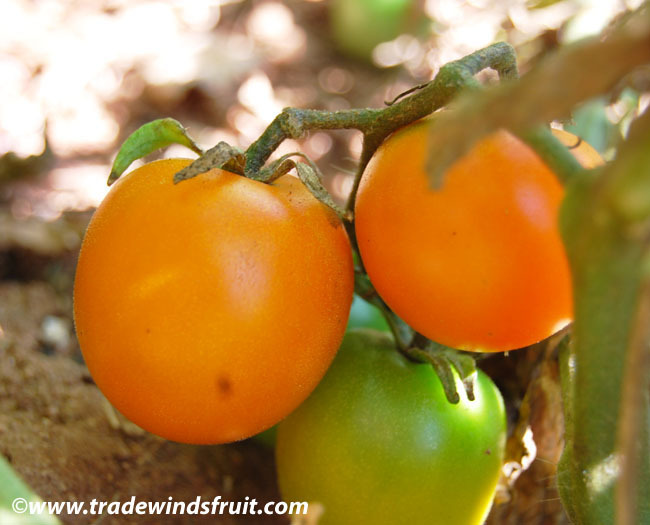 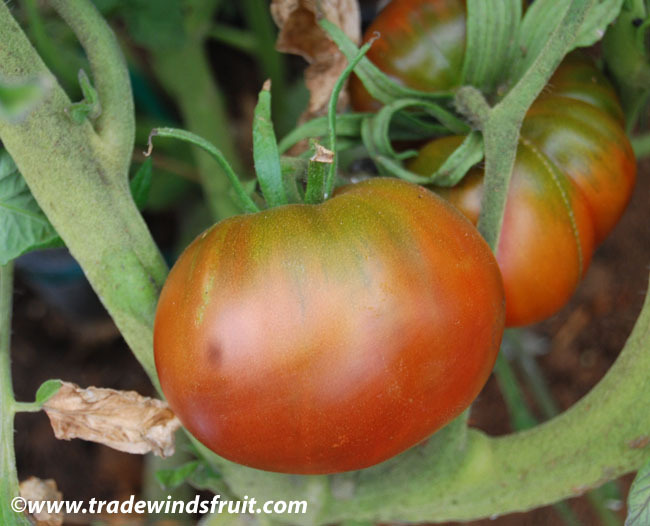 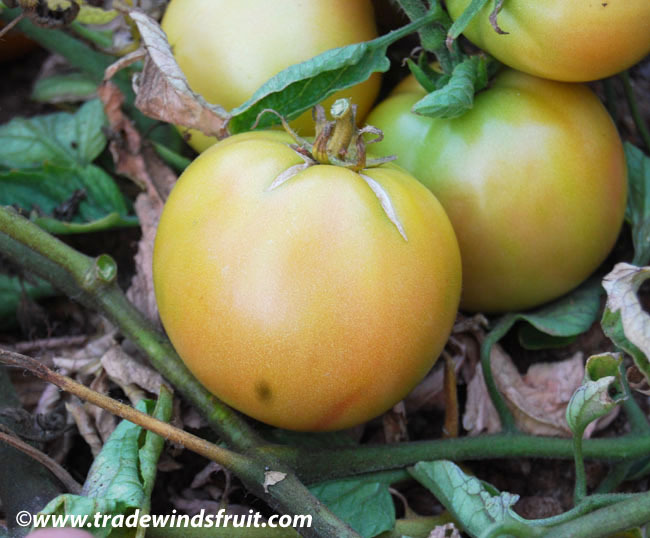 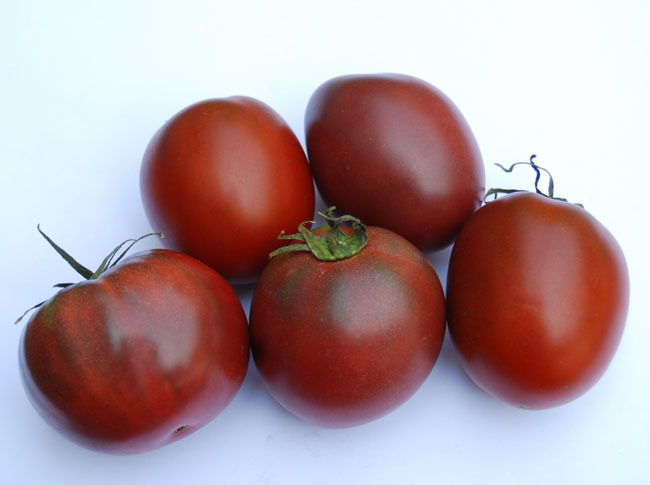 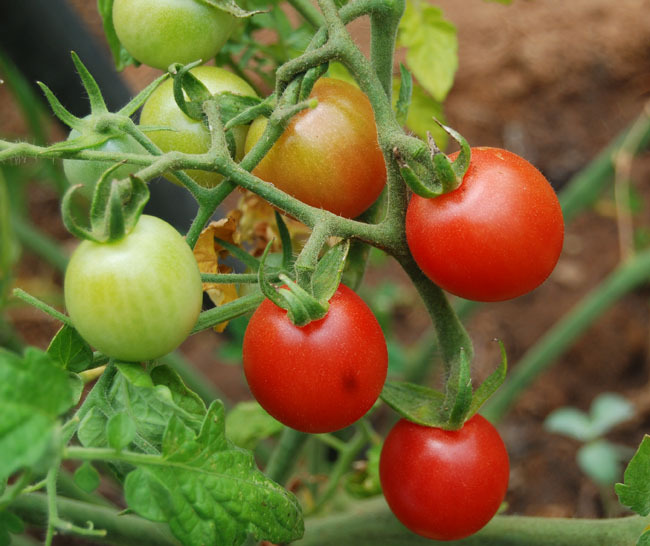 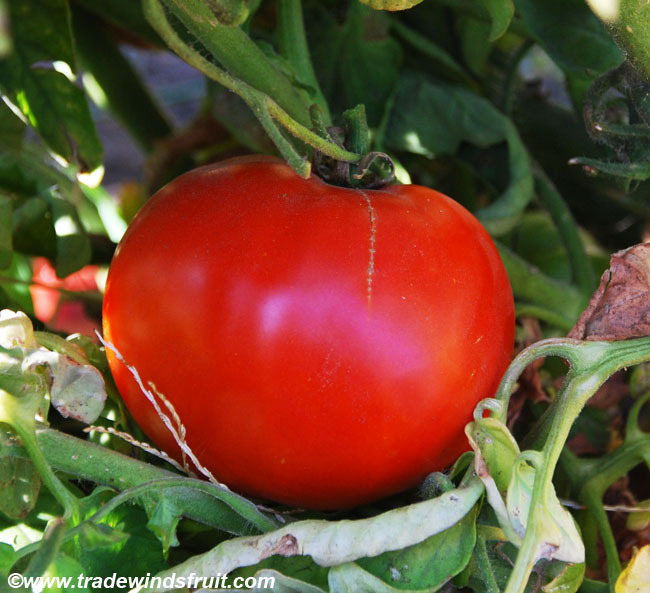 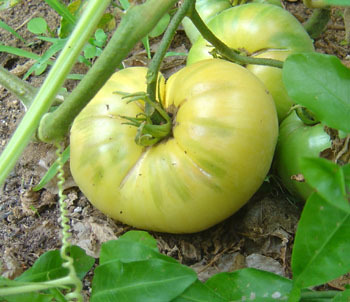 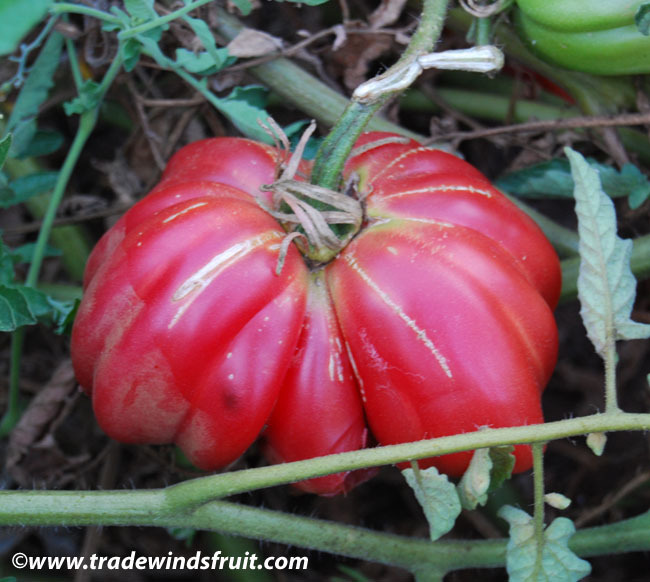 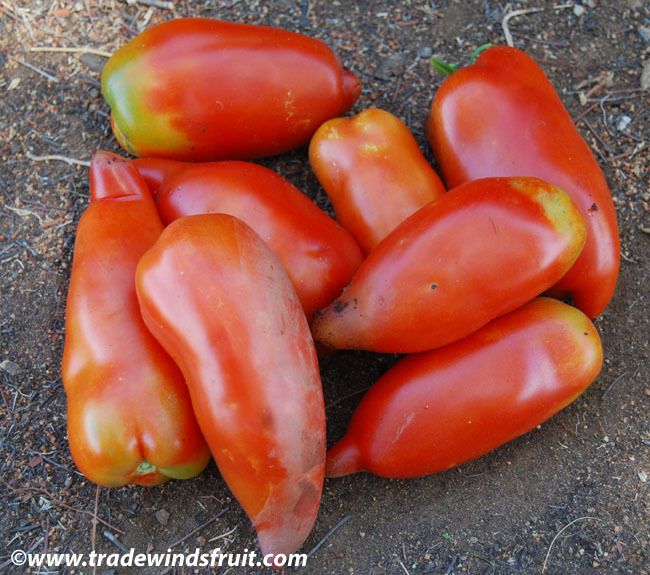 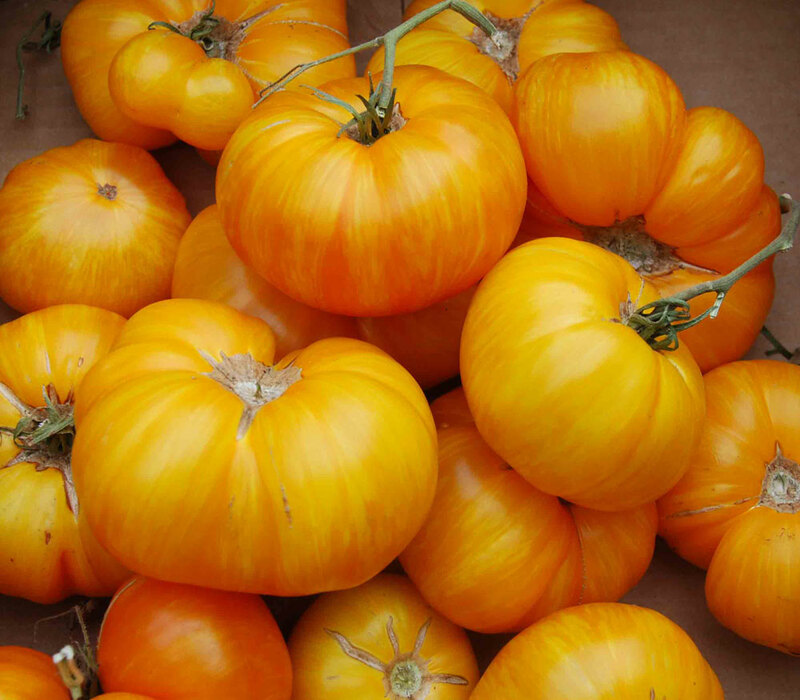 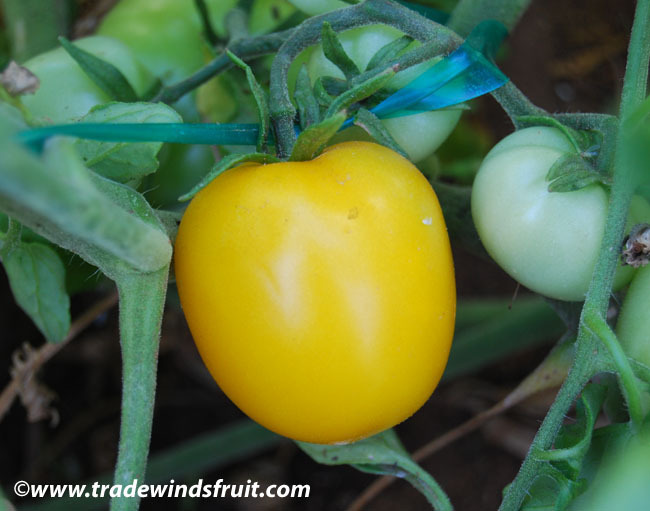 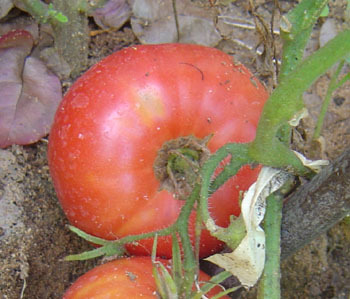 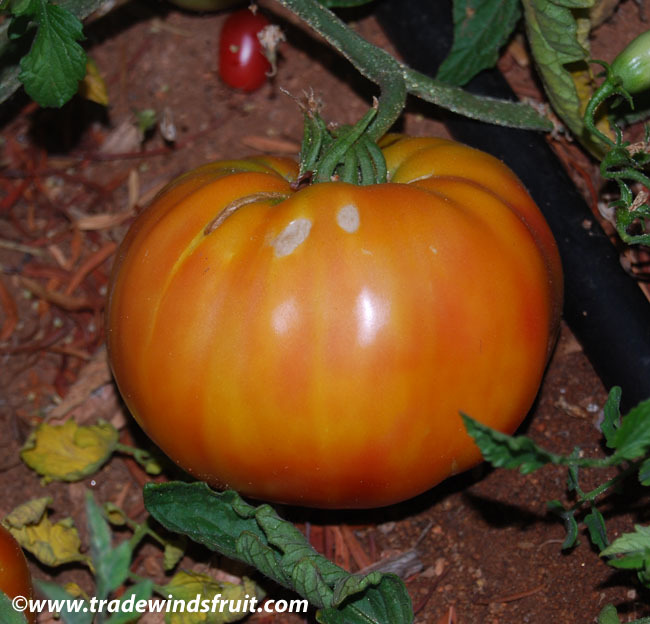 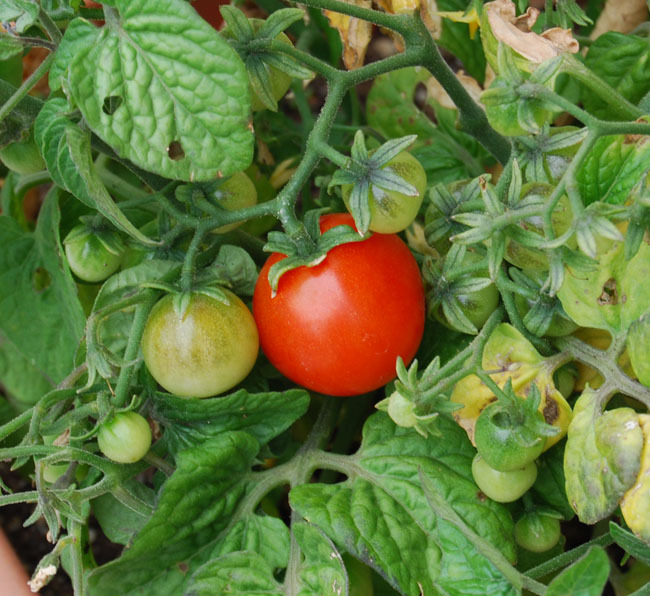 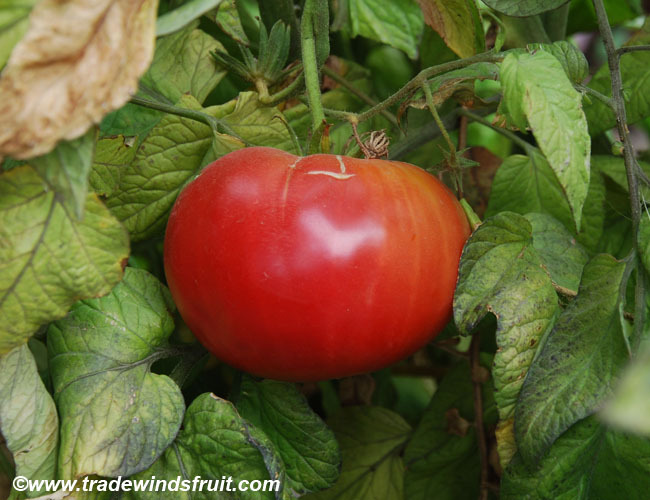 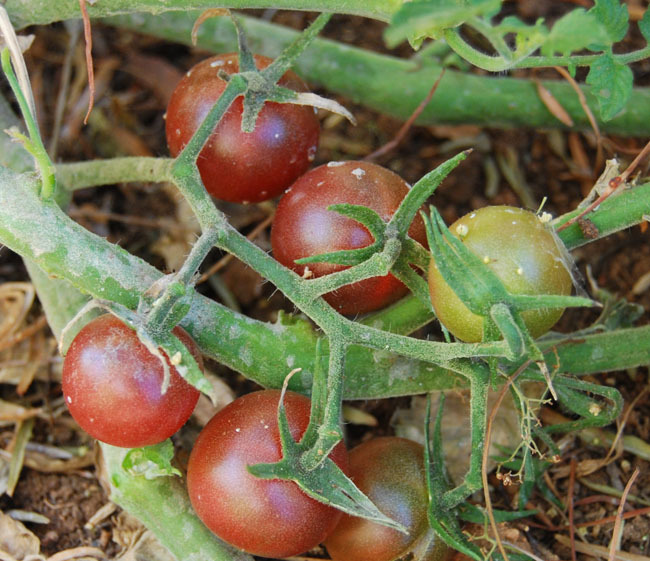 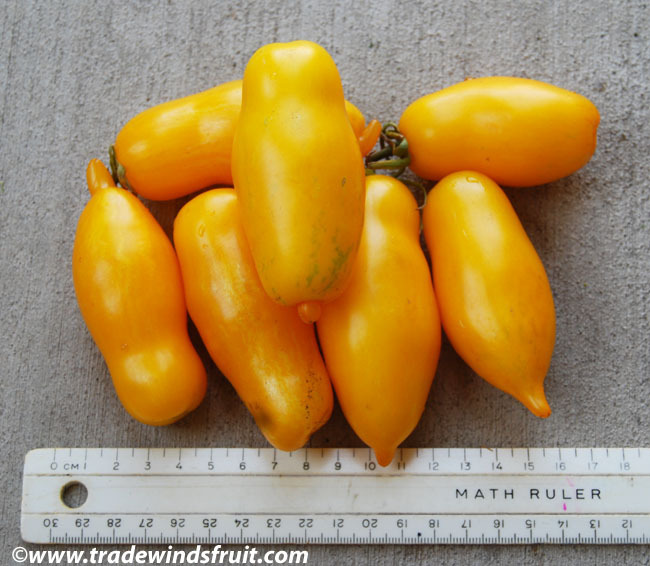 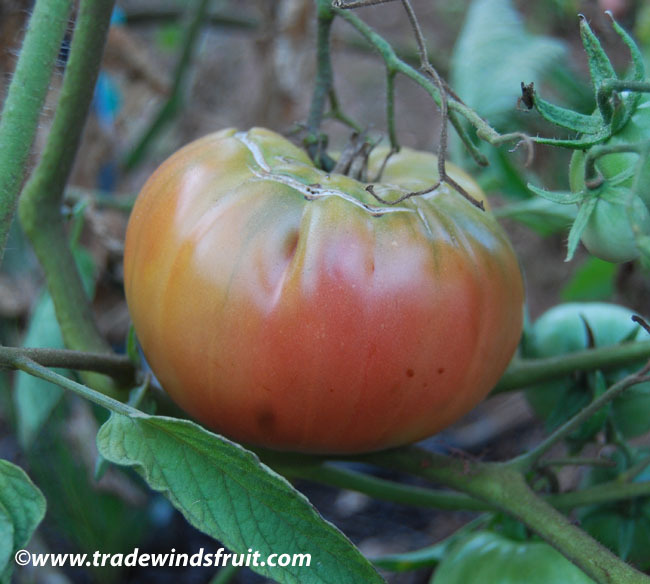 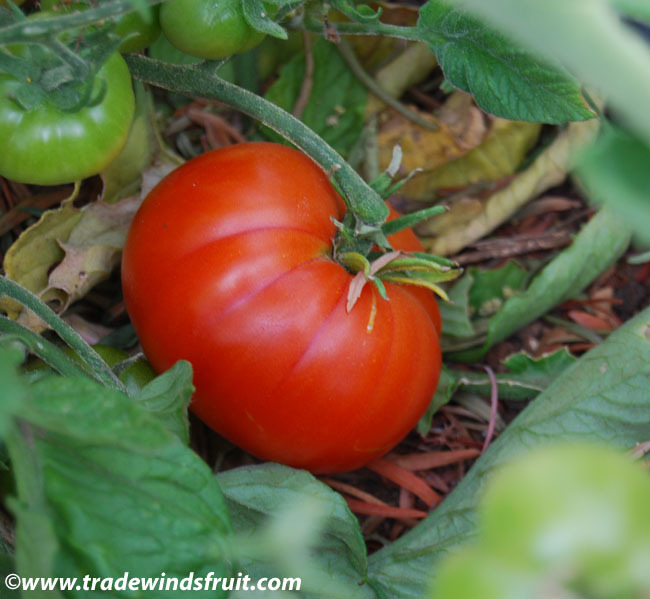 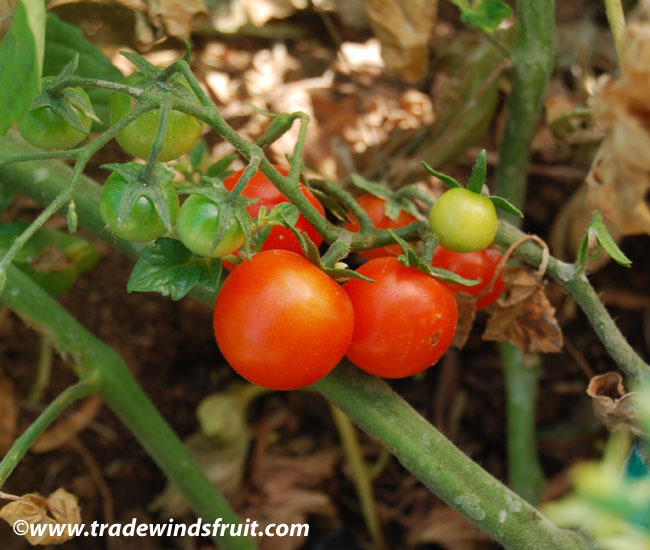 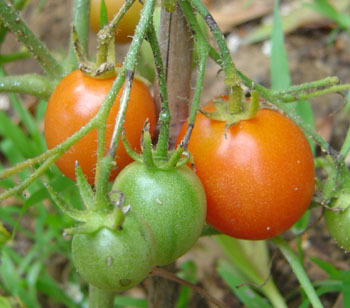 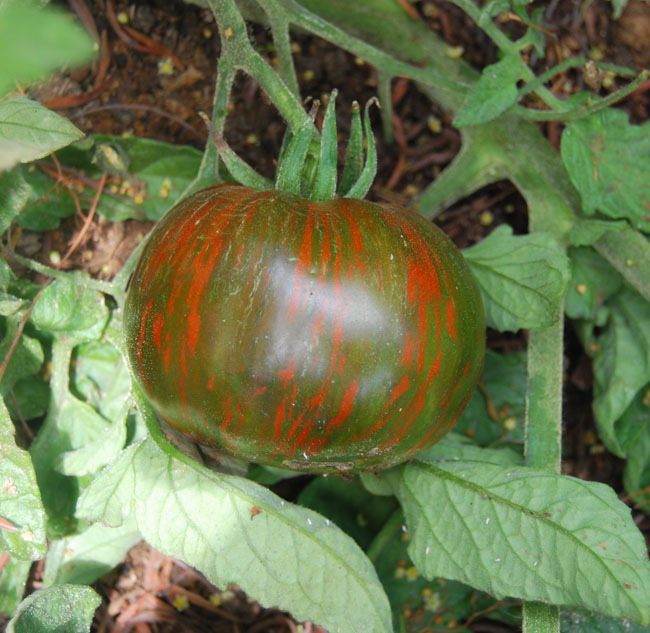 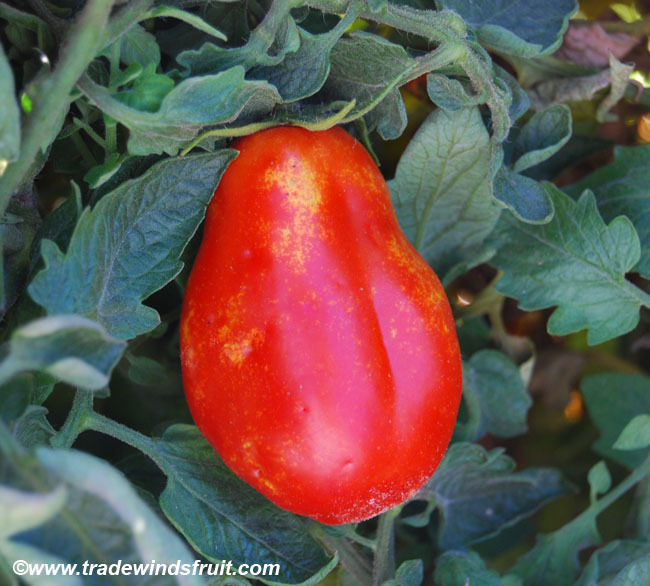 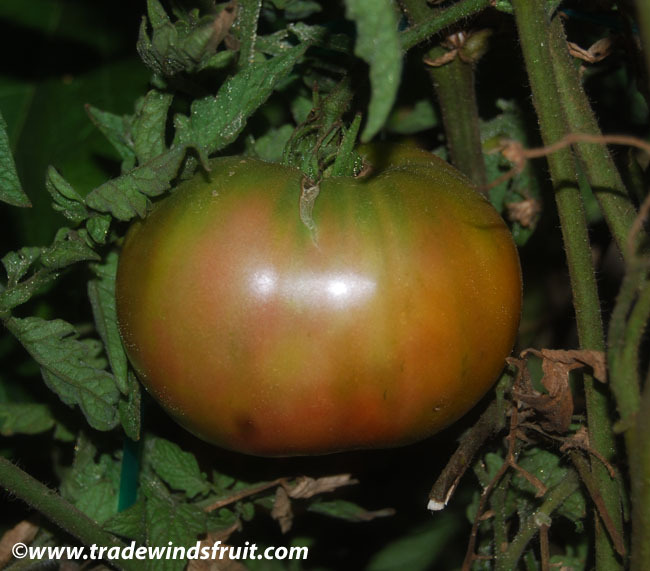 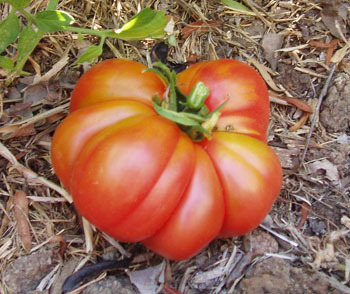 A grape-like tomato with red ripening fruits that are elongated and slightly pointed at the ends. 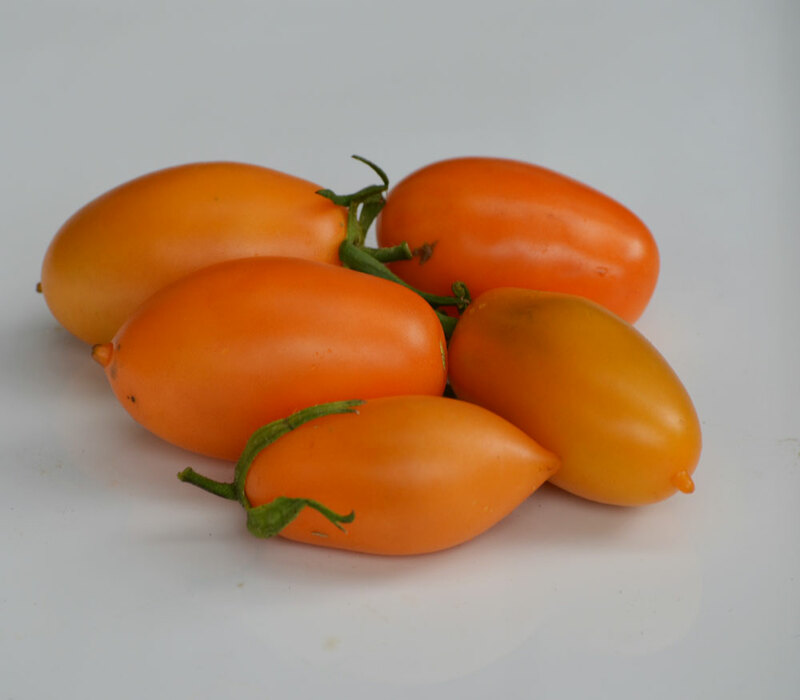 Juliet is a 1990's hybrid introduction that is now popular for its uniformly shaped fruits that have a pleasant sweet flavor. 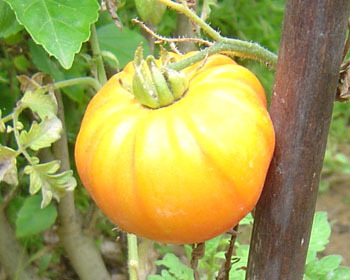 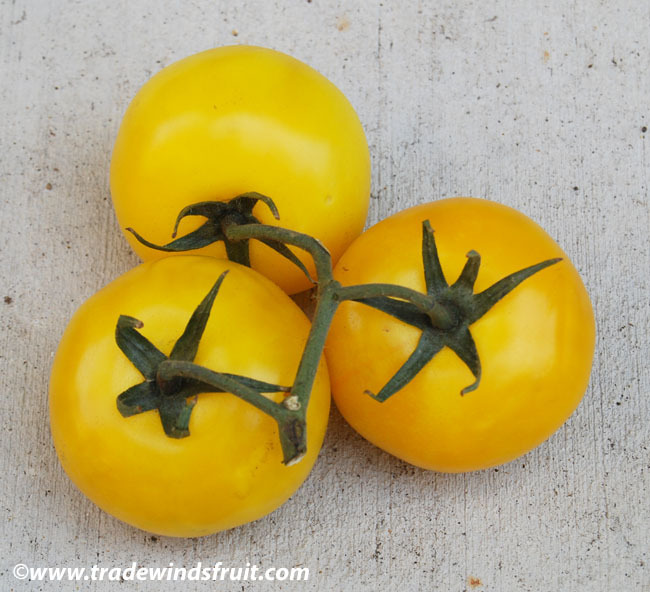 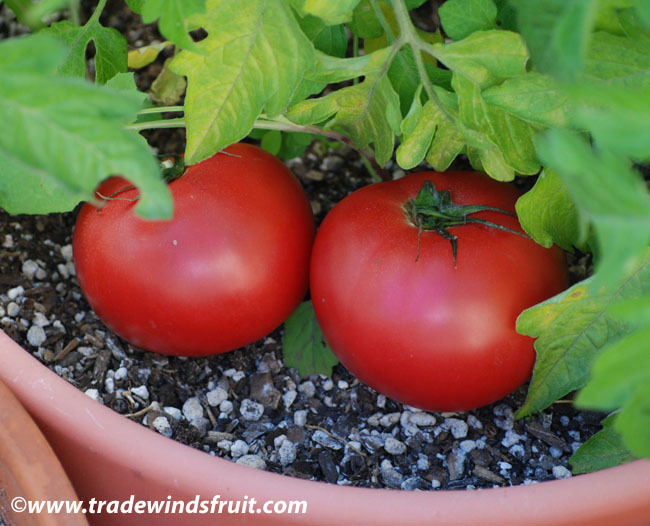 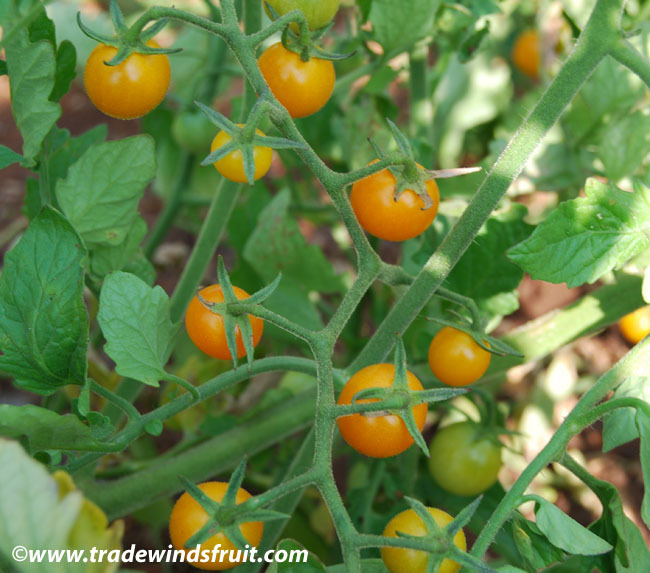 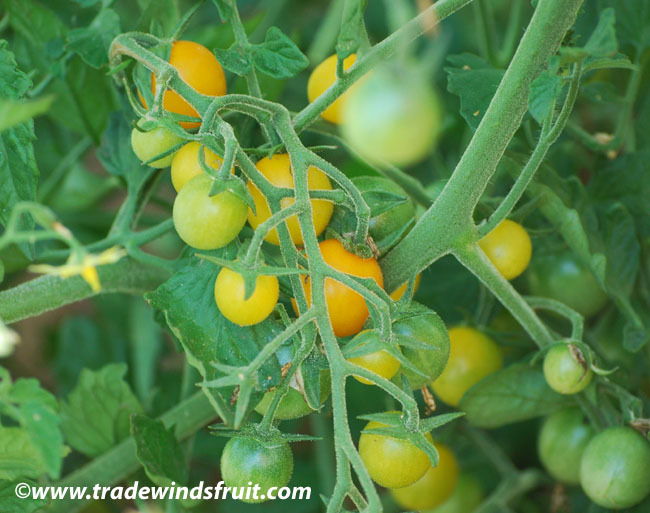 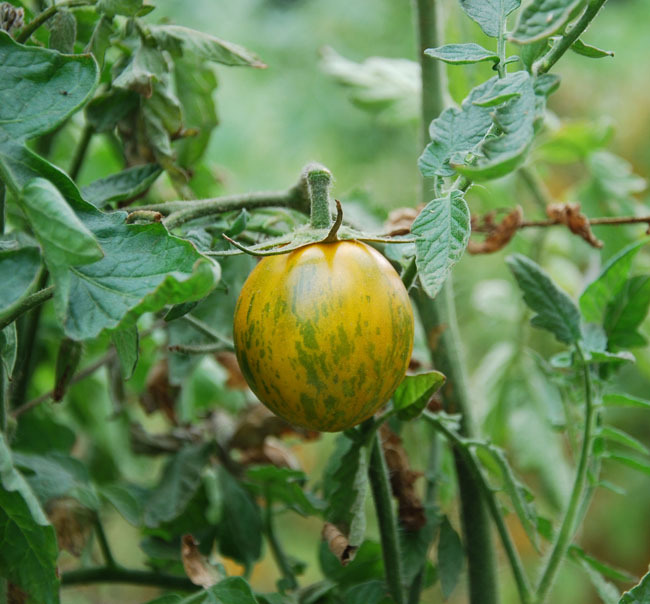 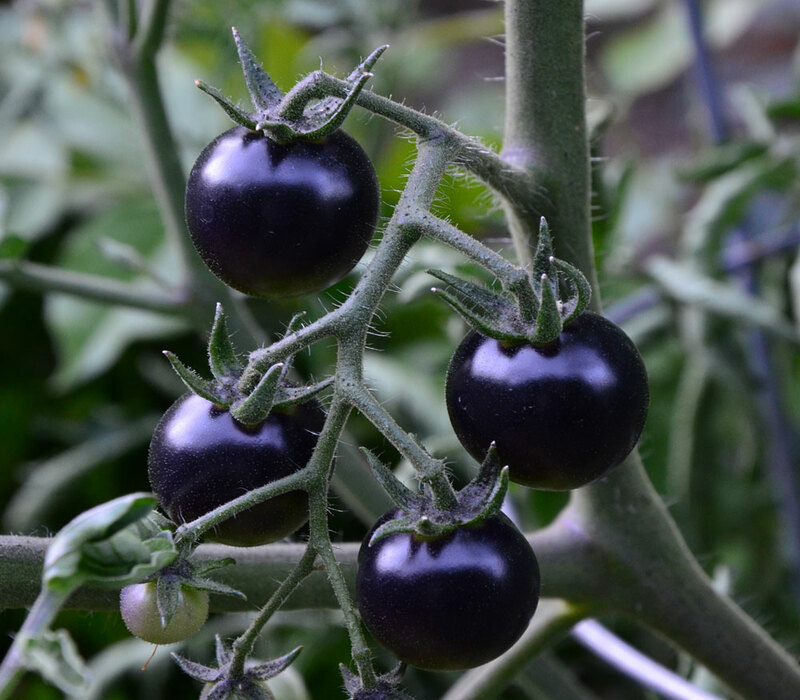 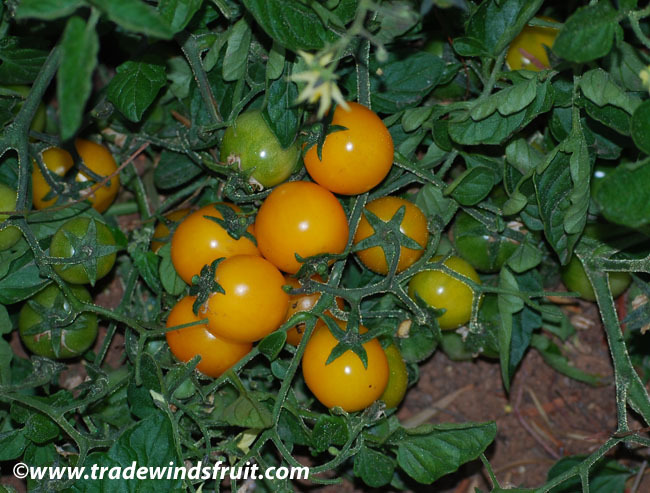 The fruits are also known for their crack-resistance and ability to remain on the vine much longer than average tomatoes. 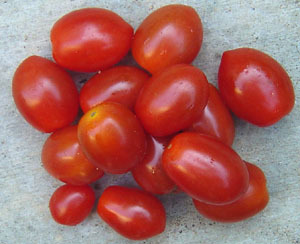 Fruits can be eaten directly out of hand and are popular in salads and dishes that call for cherry tomatoes. 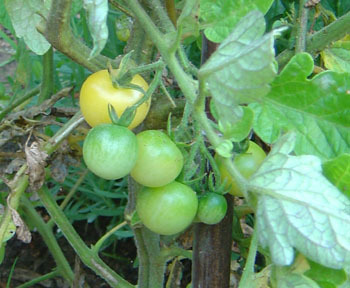 Vines are very prolific with dozens of fruits sometimes ripening daily during the main harvest season.